Twitter is one of those platforms that many businesses struggle to generate good levels of engagement on. However, there are some simple steps that you can take to learn how to get more engagement on Twitter. We’re going to help you through 5 of these below. Taken from the mouth of co-founder, Leo “Quality is key and quantity can’t be forgotten.” Thus meaning your tweets should be useful to users. Whether they’re informative, entertaining or educational, users should take something away with them after reading your tweet and they should see lots of them too. Tip: There is a fine line of giving users lots of great content to spamming them. However, a general rule shows that the more tweets you write, the more followers you'll have and so, the more engagement you get. But remember, keep the quality high! The below image is sourced from Buffer, showing that the greater number of tweets you post, the higher your follower base. You can see that a Twitter user with 1 to 1,000 tweets has an average of 51 to 100 followers. 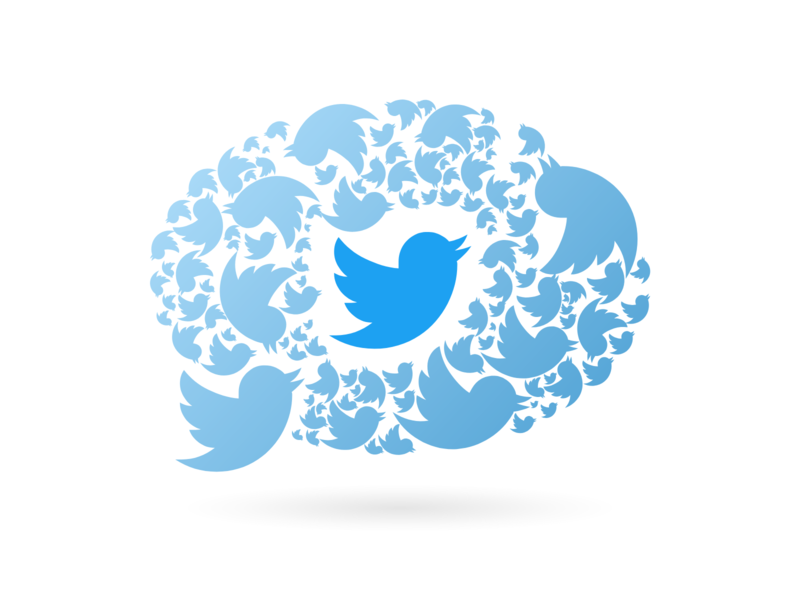 A user who has tweeted more than 10,000 times are followed on average by 1,000 to 5,000 users and so on. But why does this work? Lots of tweets shows to users you have lots of activity and so, followers will feel more inclined to connect and build a relationship with you. The more you tweet, the better you get at it. That way, you really learn how to write what users want and it can help you to pick up on tweeting formulas that work. Finally, if you’ve tweeted a lot, you’re spending lots of time on the app. Hence, the wider the door of opportunity to grow your followers. Interesting: If you were to post 10,000 updates in a year, you'd have to post 27 times a day. It’s important that when crafting your tweets, you’re taking into consideration how many of each type of tweet you’re posting. For example, a lot of users tend to opt for “Me Now” tweets, their opinions or complaints or their random thoughts. These can often make followers feel like “me-formers” rather than “informers”. For businesses, it’s important you are an informer with a few “me-former” tweets from people within the business, industry spokespeople and other. Spread your updates evenly, don’t do them all in one go for the sake of it. Make your content fit a nice, even schedule. That way, won’t when you do post it won’t come across spammy or annoying and instead, your followers can expect and look forward to hearing from you at certain points of the day. A lot of businesses can fall into the trap of forgetting to post and not using scheduling tools such as Buffer, Hootsuite or similar, making the chances of sticking to a schedule, very low. Tip: #1 priority for businesses that struggle to stick to a social schedule is to use a scheduling tool. Depending on the number of social accounts you have, Buffer is completely free and easy to use. If you’re just starting out with your social schedule, don’t be put off by not knowing when is best to post. Try different times of the day and different days of the week. Monitor how well the posts do, when you get the most impressions and whether or not they’re generating engagement. After a few weeks, you should have a clearer picture of how your posting schedule should look. 4. What Do Your Users Want? Knowing when to post and posting frequently is great, though you’re unlikely to generate engagement from these posts if you’re not giving users what they want. Over time, we’ve learnt that the posts that receive the most retweets and likes are those containing discounts, promotions, exclusive content and to take part in competitions. As a result, it’s important that you incorporate some of these wants into your daily schedule. By tapping into relevant hashtags such as “#FreebieFriday” you can also reach a bigger audience, increasing your brand awareness. This will also help condition your followers to expect a small freebie each Friday, making them more likely to engage, keep up to date with your posts and your brand in general. Tip: In between these competitions, you should then refer back to point #2 to make sure you're sticking to the other successful forms of updates. Finally, lots of businesses can miss the opportunity to really showcase how great they are on Twitter. Even some of the most dominate brands can make themselves look pretty weak from their Twitter profile, often because they fall into the trap of posting boring content with no real purpose. Just like your website, in-store leaflets and emails, your social channels are a place for you to shout about how good you are, the exciting things you’re up to and more – but don’t go overboard. As much as people don’t like Debbie Downers, they also won’t like to hear how amazing you are every time you tweet. Interesting: Gurus, authors and experts get a bump of 100+ more followers. Another way to gain more followers and engagement: be Steve Jobs, Elton John or Kim Kardashian. Each of these “celebrities” are doers, creators and considered leaders by their following. As a brand, you should be looking to be a creator, a leader and a doer to help bring something new to users and the world as a whole. Convey this message within your posts, your Twitter bio, across your other social media channels and overall presence online. Tweet high-quality content, sharing useful links, business insights and product promotions and do it often. Make sure your tweets fit within the 9 forms of update that have been researched to work. Monitor which types of update work best for your audience and when these should be posted. Once you’ve found the type of post that works, make sure you’re posting it at the optimum time. Craft a schedule of weekly updates that you can follow. Use a scheduling tool and prepare your posts in advance. Make them look good before you send them. Don’t let your tool automatically share a link with no hashtags, @ mentions or images. It just won’t perform well. Share what your users want. Whether that’s content such as latest blog posts, product promotions or freebies – giving something back is always a great way to push start the flow of engagement. Highlight how good you are and make sure it shows across every online platform you’re on. Don’t leave it to your website to do all the talking. If your Twitter looks poor, users won’t click through to see your amazing blog content or case studies if the post promoting it isn’t enticing. Hopefully now you'll understand how to get more engagement on Twitter. We help deliver social media campaigns that convert. Speak to one of our experts today for more information.